We have been providing fireplace and chimney services since 1995. Our specialty is remodeling old outdated fireplaces. Our goal is to provide excellent work with affordable pricing. Our business primarily focuses on fireplaces, chimneys, and stone work. We can also service other areas of home improvement We strive to make all of our projects as easy as possible for our customers. We understand how busy life can be, so we try to accommodate all appointments and scheduling to fit your needs. 3C does not deal with any subcontractors. The owner is present on every job we do. You can rest assured knowing that your job will be completed by someone you can trust and who cares. Forging relationships with customers that will last for years is what keeps us going. We look forward to working with you next! 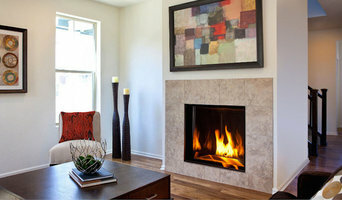 Ember Fireplaces started with the idea that fire is a design element that makes a house a home. Through our 10 plus years experience in the hearth industry we were constantly exposed to families and business owners who were not looking for an appliance, but for a way to bring warmth and atmosphere into their space. We have anecdotes and stories from almost each job that we did with very personal motivation for why we were installing a fire place - it is an emotional and intimate addition to a home. We wanted to build a company that creates firescapes not just installs units and focuses on that personalized attention to find the right unit, finish, look, effect, technology for each individual case. Our goal is to promote togetherness, drama (of the good kind) and help you create an unforgettable focal point that enhances the space and harnesses the primordial beauty of fire for your selfish needs. We work with many partners for both indoor and outdoor products to make sure that we offer a wide selection of options for your specific needs. Always on the lookout for new technologies, new designs and solutions, we are active in the industry to stay current on design trends and efficiency enhancements. We want to be able to offer our clients a wide array of alternatives, but provide them with the expertise to guide them through the decision process and find the best one that fits the budget, the style and the utility. At Ember Fireplaces we figure that people have been gathering around a fire for almost as long as we have been able to stand up straight. There is a lot to be said for that legacy, but why not bring it into the modern world. Let’s ignite the experience! Warmth in the Winter... Comfort All Year Long... for Your Indoor and Outdoor Living Space. Salter's Fireplace Patio Grill has the widest selection of Hearth products including high efficiency stoves and inserts, mantels, screens and doors, tools, stone facades, as well as outdoor patio furniture, fire features, portable grills and custom outdoor kitchens. We specialize in working with our clients on creating their dream living space whether it is indoors or out. Homeowners who want to be more energy efficient by using a gas, wood, or pellet insert or stove will appreciate our showroom featuring over 40 burning displays. We also cater to those who want to bring the inside out by creating comfortable outdoor living spaces with fire features, custom outdoor kitchens, and a wide range of furniture including cushion, sling, wrought iron, aluminum, wicker, recycled poly, and marine grade polymer. Not only is the quality better at Salter's but the ability to buy additional pieces for your patio set. Each year the chains change up their designs or offer a limited warranty. This means the customer tends to spend more money over a few years than they would if they originally purchased from Salter's. We also carry mainly North American made products. Visit Salter's Fireplace Patio Grill and speak with one of our trained, experienced and friendly sales representatives who know the right questions to ask. We work with our customers from beginning to end to facilitate and meet their varying needs and requests. Majority of Salter's customers come back and/or refer a neighbor. Experience the difference at Salter's and let us inspire you to bring warmth in the winter and comfort all year long to your indoor and/or outdoor living space. 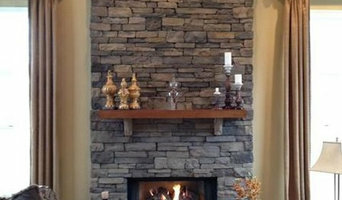 A&J Fireplaces has over 20 years experience working with and for home owners, taking care of their fireplace needs. President, John Heurta, is seasoned in various capacities such as Sales, Installations, Repairs, and Design. He brings and maintains his expertise to A&J Fireplaces by selecting and selling innovative, modern, and traditional products. Along with our knowledgeable staff, we have the experience necessary to construct your dream fireplace setting. Come explore A&J Fireplaces' Showroom in Pompton Plains, NJ. You will see countless products ranging from wood to gas, and even energy efficient fireplaces. From new homes, to renovations, A&J Fireplaces provides a variety of fireplace and installation options. Not only do we work with major manufacturers such as Lennox and Morso(to name a few), but we can also customize your dream fireplace. John will work with you and your vision to create a design reality for your home. We believe that a fireplace can make a home warm and inviting which is why our product line is carefully selected to be safe and elegant. Moda Flame has changed the world of home heating and indoor fireplaces with the introduction of Moda Flame line of bio ethanol burning fireplaces into the world market. Creating a design that required no venting, gas lines, plug-ins or outlets, more heat production, less waste and no environmental impact. Moda Flame was immediately desired by home builders, resorts, hotels, personal homes and large scale developments around the world. Providing 4X more heat than electric fireplaces and requiring no set up or additional costs it lit the path for an innovative new way to heat homes with a modern appeal never seen before. Founded in 1876, we are the oldest fireplace and hearth products company around. Our NFI-certified in-house technicians and installers have years of experience installing fireplaces, stoves, gas logs and BBQs. From wood-burning fireplaces and stoves, to gas-burning inserts and conversions, we carry a wide variety of hearth products and tailor your purchase to your needs. We also offer granite, marble and slate to dress up your fireplace, as well as mantels, glass doors and accessories to finish off the look. We carry a full line of zero-clearance fireplaces and stoves, from direct vent gas, vent-free gas, wood-burning or electric models, from companies such as Montigo, European Home, Ortal, Mendota, Vermont Castings, Majestic, Regency, Hampton, Monessen, Empire and many more. We have been serving the general public as well as the building trade for over 140 years. We deliver and install all over the Delaware Valley and honor the full manufacturer's warranty for any product purchased through Dreifuss Fireplaces. We also provide out-of-warranty repairs for almost any fireplace product you have. Call for details. Our corporate office and 5,000 square foot showroom is located in Northeast Philadelphia and is open to the public Monday through Friday 8am - 5pm, and Saturday 9am - 4pm. Come visit us and see our 50-plus burning displays, as well as meet and talk to our knowledgeable staff. No other showroom is quite like ours. You have to see it to believe it! Alternative Heat has been family owned for over 30+ years. Although we no longer have a store front, please call us to provide expert service, installation, and sales of Mendota and other custom fireplace products. We offer HIGHLY COMPETITIVE PRICING! Our business specializes in budget-friendly, efficient sales, repairs, and services of energy-efficient heating systems and other products. Everything we sell adds more warmth and comfort to your home while keeping costs low for your wallet! For any questions regarding pricing and information on all of our products and services, including repairs and chimney maintenance, please contact us at (201) 877-5024. We look forward to hearing from you! 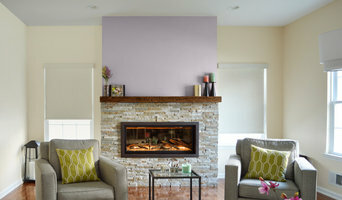 *Authorized Fireplace Xtrordinair Dealer* Bowden’s Fireside Hearth and Home began offering the highest quality fireplace products and accessories to upscale homeowners in central New Jersey. Today this family run business proudly continues the tradition of assisting our customers in designing and selecting only the very best hearth and home products available anywhere! Our expert staff is dedicated to making your shopping experience both enjoyable and beneficial, whether the focus is on distinctive fireplace furnishings or other tasteful products to make your house YOUR home. Trusted value since 1975 - Wood, pellet, gas, coal, and corn burning stoves, fireplaces and inserts. What should you know about buying a fireplace in Basking Ridge? Since wood smoke contributes to air pollution, many cities have banned the use of wood-burning units. If you’d like to buy a wood burning unit, check the Basking Ridge, NJ city policies first. If your home already has a wood-burning unit that you’re concerned about, contact a fireplace manufacturer to replace your wood-burning unit with an environmentally friendly electric or gas alternative. Gas inserts can be efficient heaters and may lower your electric-heat bill. Many adjust to provide high heat on a cold night or a low-burning flame for ambience. Interior fireplaces and mantel designs are as varied as home interiors. From custom fireplace mantels made to conceal a flat-screen TV to custom hearth designs with elaborate Renaissance-style stone mantels, the latest designs can be found by visiting Basking Ridge, NJ fireplace showrooms. Find fireplace manufacturers and showrooms, plus fireplace installation professionals, on Houzz. 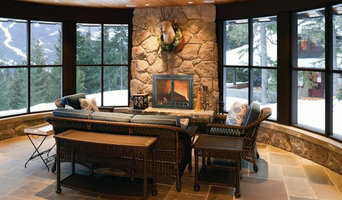 Go to the Professionals section to find Basking Ridge, NJ fireplace design and installation experts.